Great pack! Congrats, mate. But can you update some pictures? That in your pack is another Acampora with same name, that plays for team Ascoli Calcio and has ID 43006713. Thanks Siegfried. I will certainly take a look at it and renew these faces. 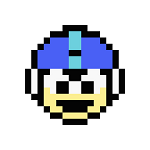 This pack contains a config file that is not compatible with he faces from the megapack. So if u put it in yr megapack, u will have to make a new config file for it. U can put this folder also in yr graphics folder. We did not update Inter for this season, because inter do not have portraitpictures at their website. Still i am now working on a new Inter pack. What Skin is used for the DF11 example pics? I cant find it anywhere. Over 2000 new and updated DF11 faces. one question,why lazar maekovik from benfica is the only photo that doesnt show in the game. i tryed to put in a benfica paste in graphics, i putted solo picture with config file alone in graphics ...and nothing.all the others picture i put the same way always apear....?????????? U need 1 folder with all the faces +1 config file for all faces. When u put the new face in your DF11 megapack and make a new config file for that pack, it will work. 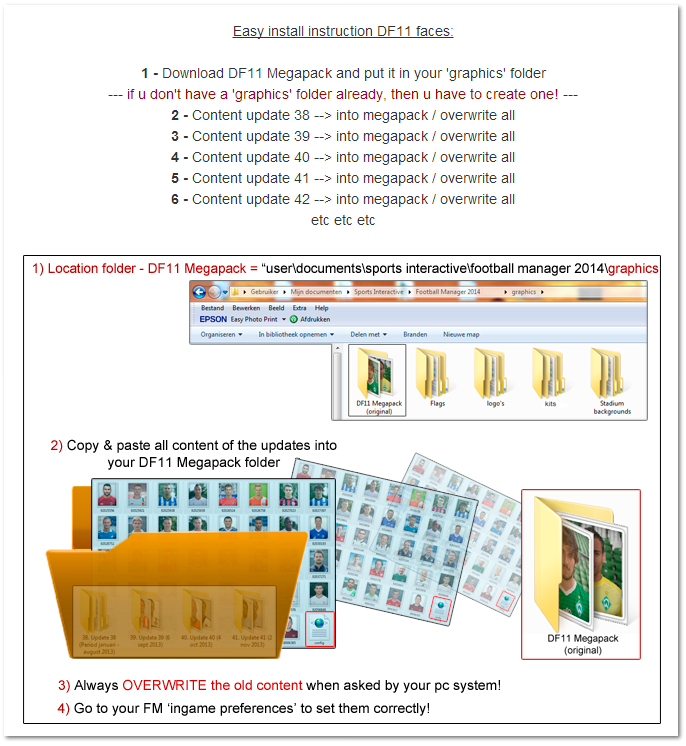 Did u place all faces + new config file from update 42 in your DF11 Megapack? Anyone else run into the issue where if you edit the config.xml file yourself to add more players in, the entire pack doesn't show up in the game? I added a config file tutorial to the 1st post. Look for the correct install instructions in the 1st post. Could you include Sweden´s U17 World-Cup team in the next update? Great style.....any chance of getting hold of the template ? hi. i have a problem with Part 5 of DF11 Player Faces Megapack complete pack. what can i do to download it? its the only that doesnt load. These parts are uploaded to the sortitoutsi server. Best u can do is ask / message 'Rob' . To complete your pack u have to download + install the updates as noticed in the 1st post. I think that u are pretty up2date by installing these updates, as part 5 is just a small part of the complete pack. one question in which folder i put the fotos inside "graphics"? DF11 Megapack must be the name of the folder? The DF11 megapack folder u download is named "DF11 Megapack (original)" i suppose. Just put it in yr graphics folder. Put all content (faces + config file) from the updates into yr Megapack folder. 2000 new and updated DF11 faces. This is possably a new record! Torrent downloads are available in the 1st post! Hi im having a poblem with the panels. I've installed the pictures and they all work however the info under the pictures (Age, Nationality, etc) isn't shown as the picture looks huge, do you know what I have done wrong? If u dont want huge pictures, just uninstall/delete the panels. But Please change photo of Danny Amankwaa from Fc. Copenhagen. The photo is completely wrong. Our team is working to update FC Copenhagen with the most recent pictures atm. Soon more Danish updates will follow. For now u can save this image as PNG file and rename it by the players ID. Have some new and reserve players added. DOWNLOAD + copy the faces & config file into your DF11 Megapack folder.